Pioneers in the industry, we offer votrient tablets 200mg, cytogem 1000mg, rasburnat, imupeg 6mg injection, neupeg and biocure 2mg injection from India. Votrient (Pazopanib) is a second-generation multitargeted tyrosine kinase inhibitor against vascular endothelial growth factor receptor-1, -2, and -3, platelet-derived growth factor receptor-alpha, platelet-derived growth factor receptor-beta, and c-kit. These receptor targets are part of the angiogenesis pathway that facilitates the formation of tumour blood vessel for tumour survival and growth. · Votrient (Pazopanib) comes with an extra patient information sheet called a Medication Guide. Read it carefully. Read it again each time you get Votrient (Pazopanib) refilled. · Take Votrient (Pazopanib) by mouth on an empty stomach at least 1 hour before or 2 hours after eating. · Swallow Votrient (Pazopanib) whole. Do not break, crush, or chew before swallowing. · Do not eat grapefruit or drink grapefruit juice while you use Votrient (Pazopanib). · If you miss a dose of Votrient (Pazopanib), take it as soon as possible. If there are less than 12 hours before your next dose, skip the missed dose and go back to your regular dosing schedule. Do not take 2 doses at once. Diarrhea; dry skin; hair loss; headache; indigestion; lightening of hair or skin color; loss of appetite; mild stomach pain; muscle or bone pain; nausea; taste changes; tiredness; trouble sleeping; tumor pain; vomiting; weakness; weight loss. Before starting Votrient (Pazopanib) treatment, make sure you tell your doctor about any other medications you are taking (including prescription, over-the-counter, vitamins, herbal remedies, etc.). 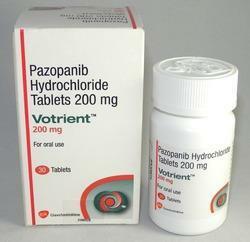 While taking Votrient (Pazopanib), ask your doctor before you take or products containing . While taking Votrient (Pazopanib), do not receive any kind of immunization or vaccination without your doctor’s approval. Store Votrient (Pazopanib) between 68 and 77 degrees F (20 and 25 degrees C). Store away from heat, moisture, and light. Keep Votrient (Pazopanib) out of the reach of children and away from pets. 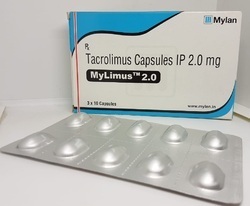 This medicine is Preventing high blood levels of uric acid from occurring in patients with certain types of cancer (eg, leukemia, lymphoma, solid malignant tumors) who are receiving cancer chemotherapy treatment. Rasburnat (Rasburicase) is a urate-oxidase enzyme. When chemotherapy is given, cancer cells are destroyed, releasing large amounts of uric acid into the blood. Rasburnat (Rasburicase) works by allowing uric acid to be more easily removed from the body by the kidneys. In humans, uric acid is the final step in the catabolic pathway of purines. Rasburnat (Rasburicase) catalyzes enzymatic oxidation of poorly soluble uric acid into an inactive and more soluble metabolite allantoin with carbon dioxide and hydrogen peroxide as byproducts in the chemical reaction. Use Rasburnat (Rasburicase) as directed by your doctor. Check the label on the medicine for exact dosing instructions. 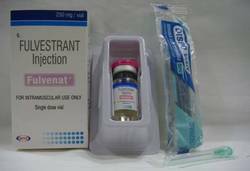 · Rasburnat (Rasburicase) is usually given as an injection at your doctor's office, hospital, or clinic. Ask your doctor or pharmacist any questions that you may have about Rasburnat (Rasburicase). · Do not shake Rasburnat (Rasburicase). · Do not use Rasburnat (Rasburicase) if it contains particles, is cloudy or discolored, or if the vial is cracked or damaged. · Keep this product, as well as syringes and needles, out of the reach of children and pets. Do not reuse needles, syringes, or other materials. Ask your health care provider how to dispose of these materials after use. Follow all local rules for disposal. · If you miss a dose of Rasburnat (Rasburicase), contact your doctor immediately to establish a new dosing schedule. Do not use 2 doses at once. Ask your health care provider any questions you may have about how to use Rasburnat (Rasburicase). Constipation; diarrhea; headache; mouth sores or ulcers; nausea; stomach pain; vomiting. 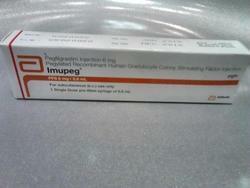 Rasburnat (Rasburicase) is usually handled and stored by a health care provider. If you are using Rasburnat (Rasburicase) at home, store Rasburnat (Rasburicase) as directed by your pharmacist or health care provider. Keep Rasburnat (Rasburicase) out of the reach of children and away from pets. 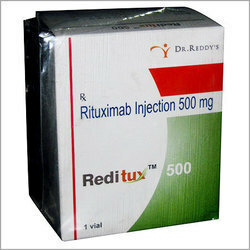 We are engaged in supplying and distributing Bevacizumab Injection.The offered injection is highly regarded by oncologists for being effective in treating cancer.We are offering a wide range of Bevacizumab Injection which are known for their quick recovery effects. 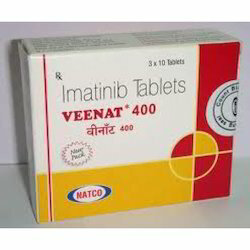 Veenat Indication: This medication is used to treat certain types of cancer (such as acute lymphoblastic leukemia, chronic myeloid leukemia, gastrointestinal stromal tumors, and myelodysplastic/myeloproliferative diseases). It is a chemotherapy drug that works by slowing or stopping the growth of cancer cells. Dosage and Administration: Take the medicine with a large glass of water and food. This will help to avoid irritating the lining of your oesophagus (food pipe) and stomach. Shaking, headache, diarrhea, nausea/vomiting, upset stomach, loss of appetite, trouble sleeping, and tingling of the hands/feet may occur. If any of these effects persist or worsen, tell your doctor or pharmacist promptly. 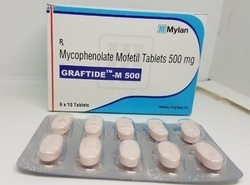 Generic Name Mycophenolic Acid Delayed -Release Tablets. Do not take antacids that have magnesium or aluminum at the same time as this medicine (mycophenolic acid delayed-release tablets). Talk with your doctor or pharmacist. Talk with your doctor before getting any vaccines. 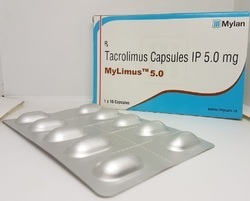 Use with this medicine (mycophenolic acid delayed-release tablets) may either raise the chance of an infection or make the vaccine not work as well. You may need to avoid donating blood while taking this medicine (mycophenolic acid delayed-release tablets) and for some time after. Talk with your doctor. If you are a man, you may need to avoid donating sperm while taking this medicine (mycophenolic acid delayed-release tablets) and for some time after. Talk with your doctor. 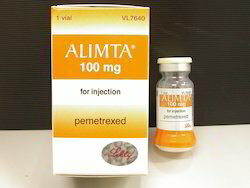 Alimta (Pemetrexed )is chemically similar to folic acid and is in the class of chemotherapy drugs called folate antimetabolites. It works by inhibiting three enzymes used in purine and pyrimidine synthesis—thymidylate synthase (TS), dihydrofolate reductase (DHFR), andglycinamide ribonucleotide formyltransferase (GARFT). By inhibiting the formation of precursor purine and pyrimidine nucleotides, Alimta (Pemetrexed )prevents the formation of DNA and RNA, which are required for the growth and survival of both normal cells and cancer cells. 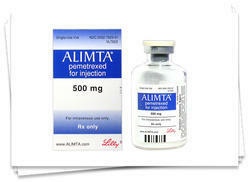 Alimta (Pemetrexed ) is given as an infusion into the vein (intravenous, IV). Patients treated with Alimta (Pemetrexed ) will usually require folic acid and vitamin B12 supplementation to reduce treatment related side effects. The amount of Alimta (Pemetrexed ) that you will receive depends on many factors, including your height and weight, your general health or other health problems, and the type of cancer or condition being treated. Your doctor will determine your dose and schedule. Ask your health care provider any questions you may have about how to use Alimta (Pemetrexed )Inj. Before using Alimta (Pemetrexed ), tell your doctor or pharmacist if you are allergic to it; or if you have any other allergies. This product may contain inactive ingredients, which can cause allergic reactions or other problems. Talk to your pharmacist for more details. Store: Alimta (Pemetrexed )Injroom temperature away from moisture and heat. 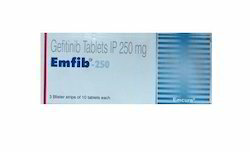 Indication:It is used in the treatment of Acute Myelogenous Leukemia (AML) and Acute Lymphoblastic Leukemia (ALL). It may be used in combination with other medicines. It may also be used for other conditions as determined by your doctor. Daunotec (Daunorubicin) has antimitotic and cytotoxic activity through a number of proposed mechanisms of action: Daunotec (Daunorubicin) forms complexes with DNA by intercalation between base pairs, and it inhibits topoisomerase II activity by stabilizing the DNA-topoisomerase II complex, preventing the religation portion of the ligation-religation reaction that topoisomerase II catalyzes. 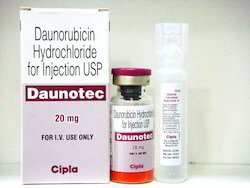 Daunotec (Daunorubicin) is given by intravenous injection (IV). The syringe needle is placed directly into the tubing of a freely flowing IV solution into a vein or central line and the drug is given over several minutes. Daunotec (Daunorubicin) is a vesicant. A vesicant is a chemical that causes extensive tissue damage and blistering if it escapes from the vein. The nurse or doctor who gives this drug must be carefully trained. If you notice redness or swelling at the IV site while you are receiving Daunotec (Daunorubicin) , alert your health care professional immediately. The amount of Daunotec (Daunorubicin) you will receive depends on many factors, including your height and weight, your general health or other health problems, and the type of cancer you have. Your doctor will determine your dose and schedule. Diarrhea; hair loss; loss of appetite; mouth pain; nausea; sore throat; stomach pain; tiredness; weakness. Before starting Daunotec (Daunorubicin) treatment, make sure you tell your doctor about any other medications you are taking (including prescription, over-the-counter, vitamins, herbal remedies, etc.). Do not take , products containing unless your doctor specifically permits this. Do not receive any kind of immunization or vaccination without your doctor's approval while taking Daunotec (Daunorubicin) . Store: Daunotec (Daunorubicin) is usually handled and stored by a health care provider. If you are using Daunotec (Daunorubicin) at home, store Daunotec (Daunorubicin) as directed by your pharmacist or health care provider. Keep Daunotec (Daunorubicin) out of the reach of children and away from pets. It is used in the treatment of Acute Myelogenous Leukemia (AML) and Acute Lymphoblastic Leukemia (ALL). It may be used in combination with other medicines. It may also be used for other conditions as determined by your doctor. Daunomycin (Daunorubicin) has antimitotic and cytotoxic activity through a number of proposed mechanisms of action: Daunomycin (Daunorubicin) forms complexes with DNA by intercalation between base pairs, and it inhibits topoisomerase II activity by stabilizing the DNA-topoisomerase II complex, preventing the religation portion of the ligation-religation reaction that topoisomerase II catalyzes. Daunomycin (Daunorubicin) is given by intravenous injection (IV). The syringe needle is placed directly into the tubing of a freely flowing IV solution into a vein or central line and the drug is given over several minutes. Daunomycin (Daunorubicin) is a vesicant. A vesicant is a chemical that causes extensive tissue damage and blistering if it escapes from the vein. The nurse or doctor who gives this drug must be carefully trained. If you notice redness or swelling at the IV site while you are receiving Daunomycin (Daunorubicin) , alert your health care professional immediately. The amount of Daunomycin (Daunorubicin) you will receive depends on many factors, including your height and weight, your general health or other health problems, and the type of cancer you have. Your doctor will determine your dose and schedule. Before starting Daunomycin (Daunorubicin) treatment, make sure you tell your doctor about any other medications you are taking (including prescription, over-the-counter, vitamins, herbal remedies, etc.). Do not take aspirin, products containing aspirin unless your doctor specifically permits this. Do not receive any kind of immunization or vaccination without your doctor's approval while taking Daunomycin (Daunorubicin) . Store: Daunomycin (Daunorubicin) is usually handled and stored by a health care provider. If you are using Daunomycin (Daunorubicin) at home, store Daunomycin (Daunorubicin) as directed by your pharmacist or health care provider. Keep Daunomycin (Daunorubicin) out of the reach of children and away from pets. Daunorubitec (Daunorubicin) has antimitotic and cytotoxic activity through a number of proposed mechanisms of action: Daunorubitec (Daunorubicin) forms complexes with DNA by intercalation between base pairs, and it inhibits topoisomerase II activity by stabilizing the DNA-topoisomerase II complex, preventing the religation portion of the ligation-religation reaction that topoisomerase II catalyzes. 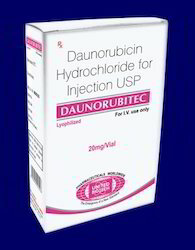 Daunorubitec (Daunorubicin) is given by intravenous injection (IV). The syringe needle is placed directly into the tubing of a freely flowing IV solution into a vein or central line and the drug is given over several minutes. Daunorubitec (Daunorubicin) is a vesicant. A vesicant is a chemical that causes extensive tissue damage and blistering if it escapes from the vein. The nurse or doctor who gives this drug must be carefully trained. If you notice redness or swelling at the IV site while you are receiving Daunorubitec (Daunorubicin) , alert your health care professional immediately. The amount of Daunorubitec (Daunorubicin) you will receive depends on many factors, including your height and weight, your general health or other health problems, and the type of cancer you have. Your doctor will determine your dose and schedule. Before starting Daunorubitec (Daunorubicin) treatment, make sure you tell your doctor about any other medications you are taking (including prescription, over-the-counter, vitamins, herbal remedies, etc.). Do not take , products containing unless your doctor specifically permits this. Do not receive any kind of immunization or vaccination without your doctor's approval while taking Daunorubitec (Daunorubicin) . Store: Daunorubitec (Daunorubicin) is usually handled and stored by a health care provider. If you are using Daunorubitec (Daunorubicin) at home, store Daunorubitec (Daunorubicin) as directed by your pharmacist or health care provider. Keep Daunorubitec (Daunorubicin) out of the reach of children and away from pets. Cerubidine (Daunorubicin) has antimitotic and cytotoxic activity through a number of proposed mechanisms of action: Cerubidine (Daunorubicin) forms complexes with DNA by intercalation between base pairs, and it inhibits topoisomerase II activity by stabilizing the DNA-topoisomerase II complex, preventing the religation portion of the ligation-religation reaction that topoisomerase II catalyzes. 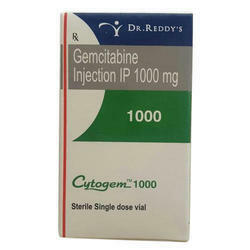 Cerubidine (Daunorubicin) is given by intravenous injection (IV). The syringe needle is placed directly into the tubing of a freely flowing IV solution into a vein or central line and the drug is given over several minutes. Cerubidine (Daunorubicin) is a vesicant. A vesicant is a chemical that causes extensive tissue damage and blistering if it escapes from the vein. The nurse or doctor who gives this drug must be carefully trained. If you notice redness or swelling at the IV site while you are receiving Cerubidine (Daunorubicin) , alert your health care professional immediately. There is no pill form of Cerubidine (Daunorubicin) . The amount of Cerubidine (Daunorubicin) you will receive depends on many factors, including your height and weight, your general health or other health problems, and the type of cancer you have. Your doctor will determine your dose and schedule. Before starting Cerubidine (Daunorubicin) treatment, make sure you tell your doctor about any other medications you are taking (including prescription, over-the-counter, vitamins, herbal remedies, etc.). Do not take , products containing unless your doctor specifically permits this. Do not receive any kind of immunization or vaccination without your doctor's approval while taking Cerubidine (Daunorubicin) . 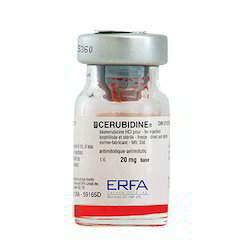 Store: Cerubidine (Daunorubicin) is usually handled and stored by a health care provider. If you are using Cerubidine (Daunorubicin) at home, store Cerubidine (Daunorubicin) as directed by your pharmacist or health care provider. Keep Cerubidine (Daunorubicin) out of the reach of children and away from pets. It is used in the prevention and treatment of osteoporosis and metastasis-associated skeletal fractures in people with cancer. It may also be used to treat hypercalcemia (elevated blood calcium levels). Also, Treating osteoporosis (weak bones) in women who are past menopause. It may also be used for other conditions as determined by your doctor. Ibandronate is a bisphosphonate. It works by slowing bone loss and allowing new bone to be formed. The action of Bandrone (Ibandronic acid)on bone tissue is based partly on its affinity for hydroxyapatite, which is part of the mineral matrix of bone. Nitrogen-containing bisphosphonates (such as pamidronate, alendronate, risedronate, ibandronate and zoledronate) appear to act as analogues of isoprenoid diphosphate lipids, thereby inhibiting farnesyl pyrophosphate (FPP) synthase, an enzyme in the mevalonate pathway. Inhibition of this enzyme in osteoclasts prevents the biosynthesis of isoprenoid lipids (FPP and GGPP) that are essential for the post-translational farnesylation and geranylgeranylation of small GTPase signalling proteins. This activity inhibits osteoclast activity and reduces bone resorption and turnover. In postmenopausal women, it reduces the elevated rate of bone turnover, leading to, on average, a net gain in bone mass. Use Bandrone (Ibandronic acid)as directed by your doctor. Check the label on the medicine for exact dosing instructions. · Bandrone (Ibandronic acid)comes with an extra patient information sheet called a Medication Guide. Read it carefully. Read it again each time you get Bandrone (Ibandronic acid)refilled. · Bandrone (Ibandronic acid) is given as an injection at your doctor's office, hospital, or clinic. Contact your health care provider if you have any questions. · Ask your health care provider any questions you may have about how to use Bandrone (Ibandronic acid). Before taking Bandrone (Ibandronic acid), tell your doctor or pharmacist if you are allergic to it; or to other bisphosphonates; or if you have any other allergies. 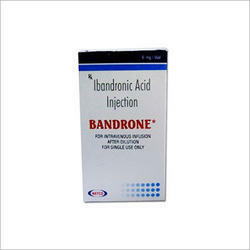 Store: Bandrone (Ibandronic acid)is handled and stored by a health care provider. You will not store it at home. Keep all medicines out of the reach of children and away from pets. The action of Idrofos (Ibandronic acid)on bone tissue is based partly on its affinity for hydroxyapatite, which is part of the mineral matrix of bone. Nitrogen-containing bisphosphonates (such as pamidronate, alendronate, risedronate, ibandronate and zoledronate) appear to act as analogues of isoprenoid diphosphate lipids, thereby inhibiting farnesyl pyrophosphate (FPP) synthase, an enzyme in the mevalonate pathway. Inhibition of this enzyme in osteoclasts prevents the biosynthesis of isoprenoid lipids (FPP and GGPP) that are essential for the post-translational farnesylation and geranylgeranylation of small GTPase signalling proteins. This activity inhibits osteoclast activity and reduces bone resorption and turnover. In postmenopausal women, it reduces the elevated rate of bone turnover, leading to, on average, a net gain in bone mass. Use Idrofos (Ibandronic acid)as directed by your doctor. Check the label on the medicine for exact dosing instructions. · Idrofos (Ibandronic acid)comes with an extra patient information sheet called a Medication Guide. Read it carefully. Read it again each time you get Idrofos (Ibandronic acid)refilled. 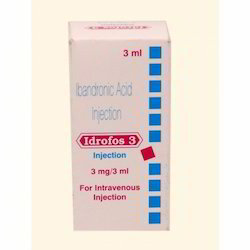 · Idrofos (Ibandronic acid) is given as an injection at your doctor's office, hospital, or clinic. Contact your health care provider if you have any questions. · Ask your health care provider any questions you may have about how to use Idrofos (Ibandronic acid). Before taking Idrofos (Ibandronic acid), tell your doctor or pharmacist if you are allergic to it; or to other bisphosphonates; or if you have any other allergies. Store: Idrofos (Ibandronic acid)is handled and stored by a health care provider. You will not store it at home. Keep all medicines out of the reach of children and away from pets.. The action of Bonimet (Ibandronic acid)on bone tissue is based partly on its affinity for hydroxyapatite, which is part of the mineral matrix of bone. Nitrogen-containing bisphosphonates (such as pamidronate, alendronate, risedronate, ibandronate and zoledronate) appear to act as analogues of isoprenoid diphosphate lipids, thereby inhibiting farnesyl pyrophosphate (FPP) synthase, an enzyme in the mevalonate pathway. Inhibition of this enzyme in osteoclasts prevents the biosynthesis of isoprenoid lipids (FPP and GGPP) that are essential for the post-translational farnesylation and geranylgeranylation of small GTPase signalling proteins. This activity inhibits osteoclast activity and reduces bone resorption and turnover. In postmenopausal women, it reduces the elevated rate of bone turnover, leading to, on average, a net gain in bone mass. 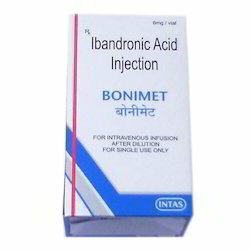 Use Bonimet (Ibandronic acid)as directed by your doctor. Check the label on the medicine for exact dosing instructions. · Bonimet (Ibandronic acid)comes with an extra patient information sheet called a Medication Guide. Read it carefully. Read it again each time you get Bonimet (Ibandronic acid)refilled. · Bonimet (Ibandronic acid) is given as an injection at your doctor's office, hospital, or clinic. Contact your health care provider if you have any questions. · If you miss your scheduled dose of Bonimet (Ibandronic acid), contact your doctor to reschedule it as soon as possible. Do not receive your injection more often than once every 3 months. Ask your health care provider any questions you may have about how to use Bonimet (Ibandronic acid). Before taking Bonimet (Ibandronic acid), tell your doctor or pharmacist if you are allergic to it; or to other bisphosphonates; or if you have any other allergies. Store: Bonimet (Ibandronic acid)is handled and stored by a health care provider. You will not store it at home. Keep all medicines out of the reach of children and away from pets.. It is used as a treatment of some brain cancers; as a second-line treatment for astrocytoma and a first-line treatment for glioblastoma multiforme. Temonat (Temozolomide) is an antineoplastic agent. It works by stopping cancer cells from growing and reproducing. The therapeutic benefit of Temonat (Temozolomide) depends on its ability toalkylate/methylate DNA, which most often occurs at the N-7 or O-6 positions ofguanine residues. This methylation damages the DNA and triggers the death of tumor cells. However, some tumor cells are able to repair this type of DNA damage, and therefore diminish the therapeutic efficacy of Temonat (Temozolomide) , by expressing a protein O6-alkylguanine DNA alkyltransferase (AGT) encoded in humans by the O-6-methylguanine-DNA methyltransferase (MGMT) gene.In some tumors, epigenetic silencing of the MGMT gene prevents the synthesis of this enzyme, and as a consequence such tumors are more sensitive to killing by Temonat (Temozolomide) .Conversely, the presence of AGT protein in brain tumors predicts poor response to Temonat (Temozolomide) and these patients receive little benefit from chemotherapy with Temonat (Temozolomide) . This medication is given in a capsule form by mouth. Take on an empty stomach (1 hour before or 2 hours after meals or at bedtime) to reduce stomach upset. Do not open, crush, or chew capsules; swallow capsules whole with full 8 ounces of water. The frequency and the amount of this medication you will receive depends on many factors, including your height and weight, your general health or other health problems, and the type of cancer you have. Your doctor will determine your dosage and schedule. Anxiety; back pain; breast pain; constipation; cough; diarrhea; dizziness; drowsiness; dry skin; hair loss; headache; joint pain; loss of appetite; mild stomach pain; mouth or tongue sores; muscle aches; nausea; taste changes; tiredness; trouble sleeping; vomiting; weakness; weight gain. Before starting Temonat (Temozolomide) treatment, make sure you tell your doctor about any other medications you are taking (including prescription, over-the-counter, vitamins, herbal remedies, etc.). Do not take aspirin, or products containing aspirin unless your doctor specifically permits this. Do not receive any kind of immunization or vaccination without your doctor's approval while taking Temonat (Temozolomide) . 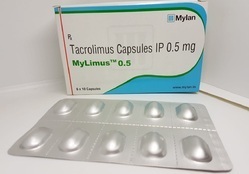 Let your health care provider know if you've had an allergic reaction to this drug or dacarbazine (DTIC) in the past, you may not be able to take temozolamide. 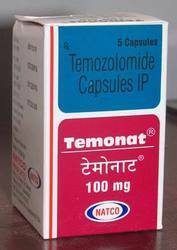 Store: Temonat (Temozolomide) is usually handled and stored by a health care provider. If you are using Temonat (Temozolomide) at home, store Temonat (Temozolomide) as directed by your pharmacist or health care provider. Keep Temonat (Temozolomide) out of the reach of children and away from pets. Before starting Temonat (Temozolomide) treatment, make sure you tell your doctor about any other medications you are taking (including prescription, over-the-counter, vitamins, herbal remedies, etc.). Do not take , or products containing aspirin unless your doctor specifically permits this. Temoside (Temozolomide) is an antineoplastic agent. It works by stopping cancer cells from growing and reproducing. The therapeutic benefit of Temoside (Temozolomide) depends on its ability toalkylate/methylate DNA, which most often occurs at the N-7 or O-6 positions ofguanine residues. This methylation damages the DNA and triggers the death of tumor cells. However, some tumor cells are able to repair this type of DNA damage, and therefore diminish the therapeutic efficacy of Temoside (Temozolomide) , by expressing a protein O6-alkylguanine DNA alkyltransferase (AGT) encoded in humans by the O-6-methylguanine-DNA methyltransferase (MGMT) gene.In some tumors, epigenetic silencing of the MGMT gene prevents the synthesis of this enzyme, and as a consequence such tumors are more sensitive to killing by Temoside (Temozolomide) .Conversely, the presence of AGT protein in brain tumors predicts poor response to Temoside (Temozolomide) and these patients receive little benefit from chemotherapy with Temoside (Temozolomide) . Before starting Temoside (Temozolomide) treatment, make sure you tell your doctor about any other medications you are taking (including prescription, over-the-counter, vitamins, herbal remedies, etc.). Do not take , or products containing unless your doctor specifically permits this. Do not receive any kind of immunization or vaccination without your doctor's approval while taking Temoside (Temozolomide) . 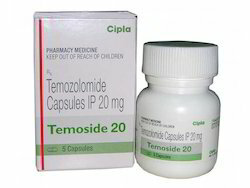 Store: Temoside (Temozolomide) is usually handled and stored by a health care provider. If you are using Temoside (Temozolomide) at home, store Temoside (Temozolomide) as directed by your pharmacist or health care provider. Keep Temoside (Temozolomide) out of the reach of children and away from pets. 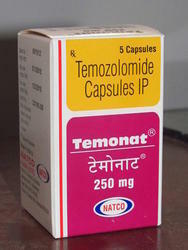 Temodol (Temozolomide) is an antineoplastic agent. It works by stopping cancer cells from growing and reproducing. The therapeutic benefit of Temodol (Temozolomide) depends on its ability toalkylate/methylate DNA, which most often occurs at the N-7 or O-6 positions ofguanine residues. This methylation damages the DNA and triggers the death of tumor cells. However, some tumor cells are able to repair this type of DNA damage, and therefore diminish the therapeutic efficacy of Temodol (Temozolomide), by expressing a protein O6-alkylguanine DNA alkyltransferase (AGT) encoded in humans by the O-6-methylguanine-DNA methyltransferase (MGMT) gene.In some tumors, epigenetic silencing of the MGMT gene prevents the synthesis of this enzyme, and as a consequence such tumors are more sensitive to killing by Temodol (Temozolomide).Conversely, the presence of AGT protein in brain tumors predicts poor response to Temodol (Temozolomide) and these patients receive little benefit from chemotherapy with Temodol (Temozolomide). Before starting Temodol (Temozolomide) treatment, make sure you tell your doctor about any other medications you are taking (including prescription, over-the-counter, vitamins, herbal remedies, etc.). Do not take , or products containing unless your doctor specifically permits this. Do not receive any kind of immunization or vaccination without your doctor's approval while taking Temodol (Temozolomide). 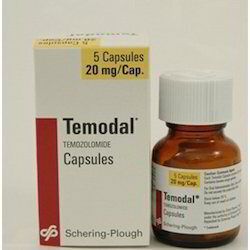 Store: Temodol (Temozolomide) is usually handled and stored by a health care provider. If you are using Temodol (Temozolomide) at home, store Temodol (Temozolomide) as directed by your pharmacist or health care provider. Keep Temodol (Temozolomide) out of the reach of children and away from pets. Faslodex (Fulvestrant) is used to treat a certain type of hormone-related breast cancer in postmenopausal women, when the cancer has spread to other parts of the body after treatment with anti-estrogen medication. Faslodex (Fulvestrant) is also used together with a medicine called palbociclib, to treat certain hormone-related breast cancer that has progressed or spread after treatment with hormonal therapy. Faslodex (Fulvestrant) competitively and reversibly binds to estrogen receptors present in cancer cells and achieves its anti-estrogen effects through two separate mechanisms. First, Faslodex (Fulvestrant) binds to the receptors and downregulates them so that estrogen is no longer able to bind to these receptors. Second, Faslodex (Fulvestrant) degrades the estrogen receptors to which it is bound. Both of these mechanisms inhibit the growth of tamoxifen-resistant as well as estrogen-sensitive human breast cancer cell lines. As an injection into the muscle (intramuscular, IM), Faslodex (Fulvestrant) is usually given as a once a month injection. Your doctor will determine any variations to this dosing or schedule. Get emergency medical help if you have signs of an allergic reaction to Faslodex (Fulvestrant): hives; difficult breathing; swelling of your face, lips, tongue, or throat. Headache, bone pain, joint pain, muscle pain, nausea, vomiting, loss of appetite, constipation; weakness, feeling tired; cough, trouble breathing; abnormal liver function tests; hot flashes; or pain where the medicine was injected. Before starting Faslodex (Fulvestrant) treatment, make sure you tell your doctor about any other medications you are taking (including prescription, over-the-counter, vitamins, herbal remedies, etc.). Do not take , or products containing unless your doctor specifically permits this. Let your health care professional know if you have ever had a blood clot that required medical treatment. Inform your health care professional if you are pregnant or may be pregnant prior to starting this treatment. 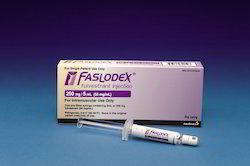 Pregnancy category D (Faslodex (Fulvestrant) may be hazardous to the fetus. Women who are pregnant or become pregnant must be advised of the potential hazard to the fetus). Store: Faslodex (Fulvestrant) is handled and stored by a health care provider. Keep all medicines out of the reach of children and away from pets. Fulvenat (Fulvestrant) is an anti-estrogen medication. It works by blocking the actions of estrogen in the body. Certain types of breast cancer use estrogen to grow and multiply in the body. Fulvenat (Fulvestrant) is used to treat a certain type of hormone-related breast cancer in postmenopausal women, when the cancer has spread to other parts of the body after treatment with anti-estrogen medication. Fulvenat (Fulvestrant) is also used together with a medicine called palbociclib, to treat certain hormone-related breast cancer that has progressed or spread after treatment with hormonal therapy. Fulvenat (Fulvestrant) competitively and reversibly binds to estrogen receptors present in cancer cells and achieves its anti-estrogen effects through two separate mechanisms. First, Fulvenat (Fulvestrant) binds to the receptors and downregulates them so that estrogen is no longer able to bind to these receptors. Second, Fulvenat (Fulvestrant) degrades the estrogen receptors to which it is bound. Both of these mechanisms inhibit the growth of tamoxifen-resistant as well as estrogen-sensitive human breast cancer cell lines. As an injection into the muscle (intramuscular, IM), Fulvenat (Fulvestrant) is usually given as a once a month injection. Your doctor will determine any variations to this dosing or schedule. Get emergency medical help if you have signs of an allergic reaction to Fulvenat (Fulvestrant): hives; difficult breathing; swelling of your face, lips, tongue, or throat. Before starting Fulvenat (Fulvestrant) treatment, make sure you tell your doctor about any other medications you are taking (including prescription, over-the-counter, vitamins, herbal remedies, etc.). Do not take , or products containing unless your doctor specifically permits this. Inform your health care professional if you are pregnant or may be pregnant prior to starting this treatment. Pregnancy category D (Fulvenat (Fulvestrant) may be hazardous to the fetus. Women who are pregnant or become pregnant must be advised of the potential hazard to the fetus). Store: Fulvenat (Fulvestrant) is handled and stored by a health care provider. Keep all medicines out of the reach of children and away from pets. 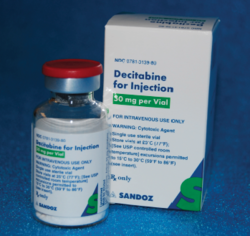 We are offering a wide range of Decitabine Injection which are known for their quick recovery effects. 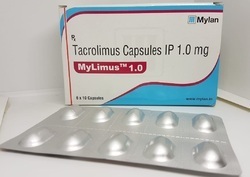 This medicine is Treating myelodysplastic syndromes (MDS) (eg, certain types of anemia or leukemia). Natdecita (Decitabine)is a nucleoside analog. It works by blocking cell growth. Natdecita (Decitabine) is a hypomethylating agent. It hypomethylates DNA by inhibiting DNA methyltransferase. It functions in a similar manner to azacitidine, although Natdecita (Decitabine)can only be incorporated into DNA strands while azacitidine can be incorporated into both DNA and RNA chains. The actual dosage of Natdecita (Decitabine)that you will receive depends on many factors, including your height and weight, your general health or other health problems, and the type of cancer or condition you have. Your doctor will determine your exact dosage and schedule. Constipation; cough; diarrhea; dizziness; hair loss; headache; joint or muscle pain; loss of appetite; nausea; stomach pain or upset; trouble sleeping; vomiting. Before starting Natdecita (Decitabine)treatment, make sure you tell your doctor about any other medications you are taking (including prescription, over-the-counter, vitamins, herbal remedies, etc.). Do not take , products containing unless your doctor specifically permits this. 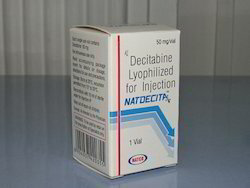 Store: Natdecita (Decitabine)is usually handled and stored by a health care provider. If you are using Natdecita (Decitabine)at home, store Natdecita (Decitabine)as directed by your pharmacist or health care provider. Keep Natdecita (Decitabine)out of the reach of children and away from pets. Pegfilgrastim is used to reduce the chance of infection in people who have certain types of cancer and are receiving chemotherapy medications that may decrease the number of neutrophils (a type of blood cell needed to fight infection). Pegfilgrastim is also used to increase the chance of survival in people who have been exposed to harmful amounts of radiation, which can cause severe and life-threatening damage to bone marrow. 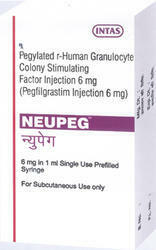 Pegfilgrastim is in a class of medications called colony stimulating factors. It works by helping the body make more neutrophils. Pegfilgrastim comes as a solution (liquid) in prefilled injection syringes and in a pre-filled automatic injection device (On-body Injector) to inject subcutaneously (under the skin). If you are using pegfilgrastim to decrease the risk of infection during chemotherapy, it is usually given as a single dose for each chemotherapy cycle, no sooner than 24 hours after the last dose of chemotherapy of the cycle is given and more than 14 days before beginning the next chemotherapy cycle. If you are using pegfilgrastim because you have been exposed to harmful amounts of radiation, it is usually given as 2 single doses, one week apart. Your doctor will tell you exactly when you should use pegfilgrastim. Pegfilgrastim may be given to you by a nurse or other healthcare provider, or you may be told to inject the medication at home. If you will be injecting pegfilgrastim at home, follow the directions on your prescription label carefully, and ask your doctor or pharmacist to explain any part you do not understand. Use pegfilgrastim exactly as directed. Do not use more or less of it or use it more often than prescribed by your doctor. If you will be injecting pegfilgrastim yourself, a healthcare provider will show you how to inject the medication. Be sure that you understand these directions. Ask your healthcare provider if you have any questions about where on your body you should inject pegfilgrastim, how to give the injection, or how to dispose of used needles and syringes after you inject the medication. If your pegfilgrastim comes in a pre-filled automatic injection device (On-body Injector), the device will usually be applied to your abdomen or the back of your arm by a nurse or other healthcare provider the day before you will receive the dose of pegfilgrastim. The next day (approximately 27 hours after the On-Body Injector was applied to your skin), the dose of pegfilgrastim will be automatically injected over 45 minutes. Zoldria Injection is used for Bone metastases, Osteoporosis, Hypercalcemia, Multiple myeloma, Paget's disease and other conditions. 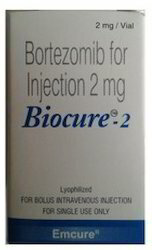 Zoldria Injection may also be used for purposes not listed in this medication guide. 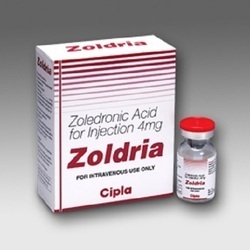 Zoldria Injection contains Zoledronate as an active ingredient. Zoldria Injection works by lowering high blood calcium levels. 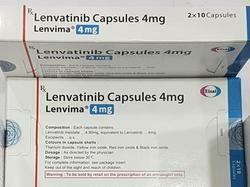 Lenvima (lenvatinib) is a cancer medicine that interferes with the growth and spread of cancer cells in the body. 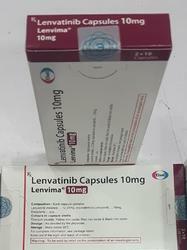 Lenvima is used to treat thyroid cancer. Lenvima is usually given after radioactive iodine has been tried without success. Lenvima is also used together with everolimus (Afinitor) to treat advanced kidney cancer when other medicines have not been effective. Lenvima is usually taken once per day. Follow all directions on your prescription label. Do not use this medicine in larger or smaller amounts or for longer than recommended. You may take Lenvima with or without food. Take the medicine at the same time each day. To get a full dose, you may need to take a combination of Lenvima capsules with different amounts (strengths) of medicine in them. Follow your doctor's dosing instructions very carefully. You may need to take medicine to prevent diarrhea while you are using Lenvima. Carefully follow your doctor's instructions about when to start taking the anti-diarrhea medicine. Call your doctor if you are sick with vomiting or severe diarrhea. Prolonged illness can lead to dehydration and kidney failure while you are taking Lenvima. Lenvima is usually given until your body no longer responds to the medication. While using Lenvima, you will need frequent blood and urine tests. Your blood pressure will need to be checked often. · advanced stomach cancer if your tumor tests positive for "PD-L1" and has a specific genetic marker (an abnormal "HER2/neu" gene). Keytruda is often given when the cancer has spread to other parts of the body, or cannot be surgically removed, or has come back after prior treatment. 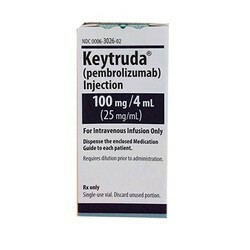 Keytruda is given as an infusion into a vein. A healthcare provider will give you this injection. Your doctor will perform a blood test to make sure Keytruda is the right treatment for your condition. You will need frequent medical tests to help your doctor determine if it is safe for you to keep receiving Keytruda. Do not miss any follow-up visits. Looking for Anticancer Products ?